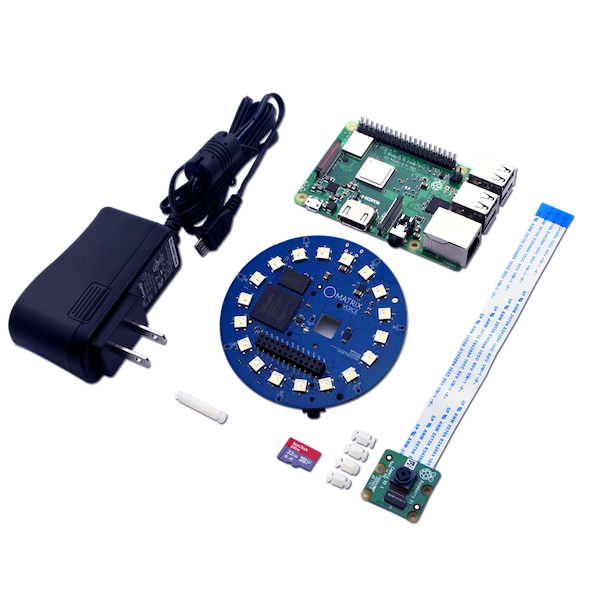 and enables students to easily integrate hardware, software, and AI. What is the MATRIX Platform and How Can I Use It? 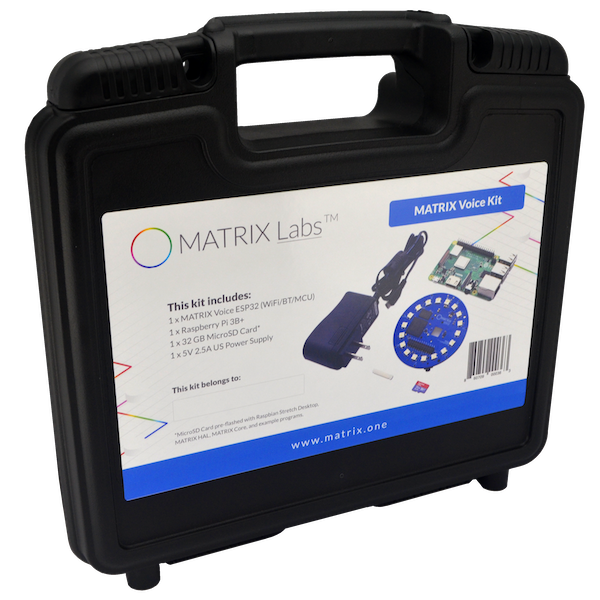 The MATRIX platform is comprised of two educational development boards, MATRIX Creator and MATRIX Voice, which are supported by our MATRIX software libraries. 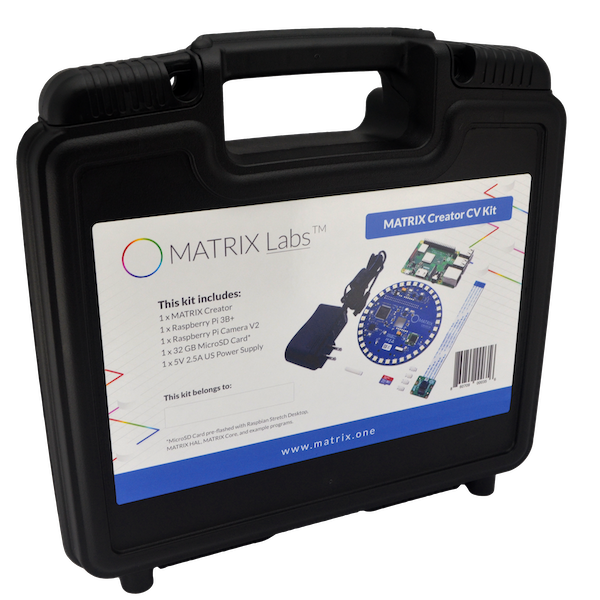 MATRIX Creator includes sensors, mics, wireless communications, and an FPGA. 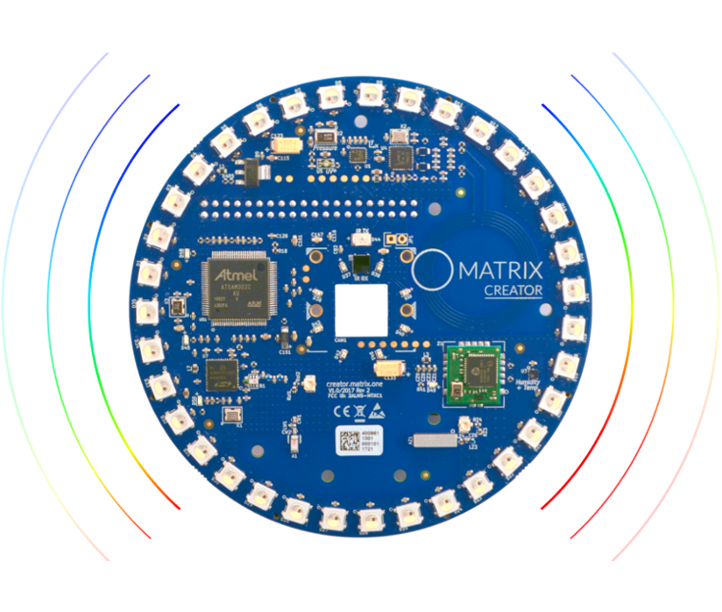 MATRIX Voice can be used to build sound driven behaviors and interfaces. 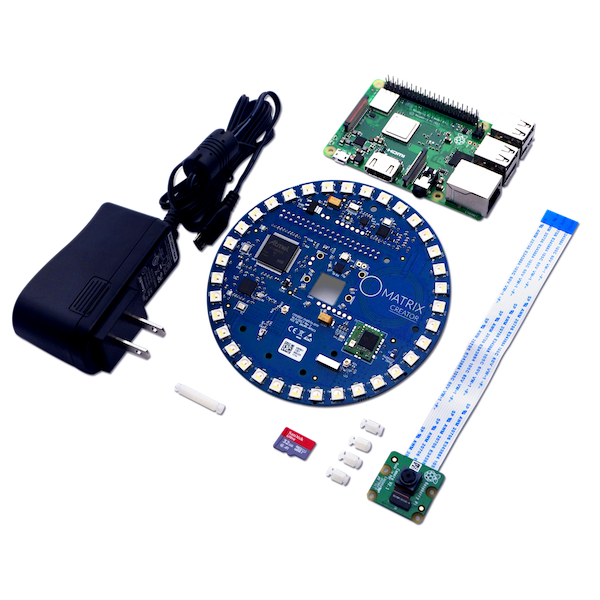 Our platform enables students of various skill levels to learn simple to complex IoT, AI, robotics and engineering applications. 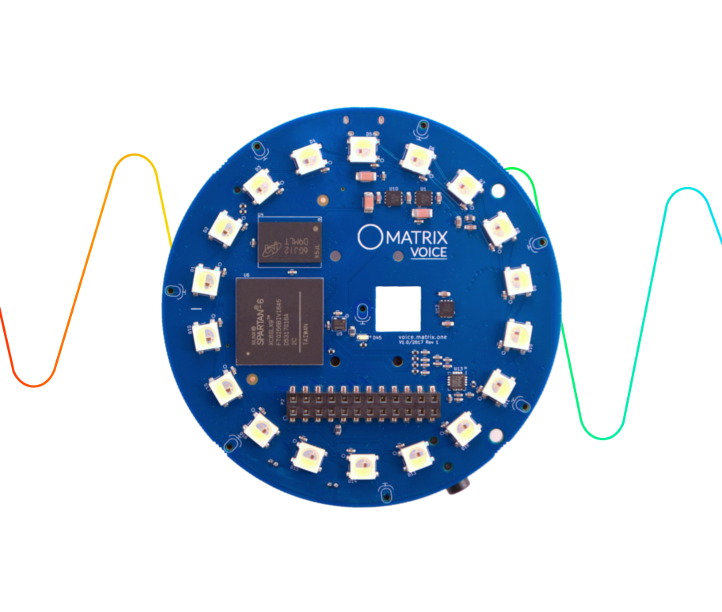 Teach audio concepts such as signal processing, acoustic mapping, voice recognition, sensor fusion, control, and robotics. 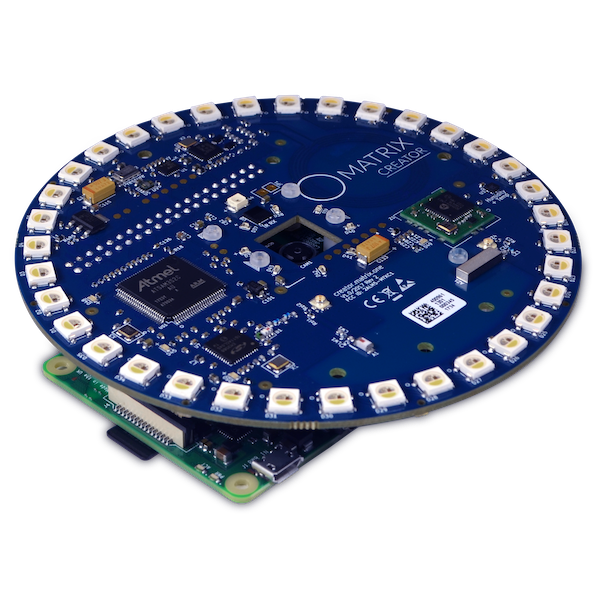 Enable advanced students to program the FPGA. 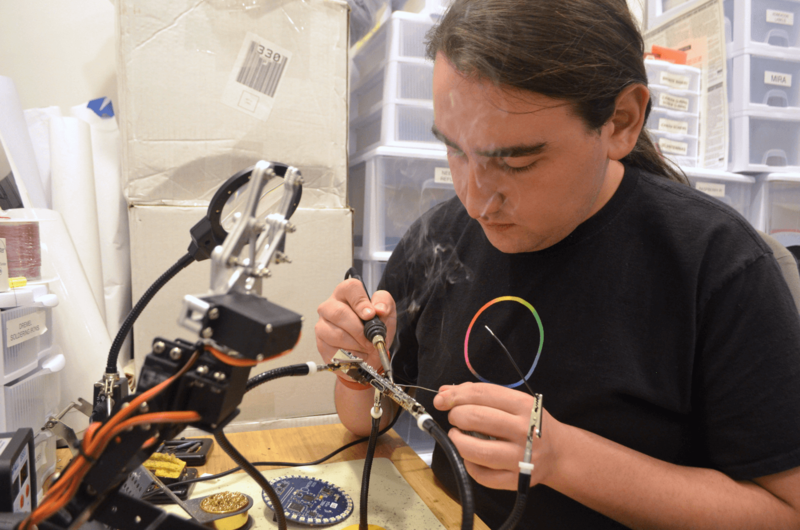 Teach design, mechatronics, and robotics with sensor inputs that drive motors, actuators, and more to help convey fundamental concepts such as vibrations and control theory. 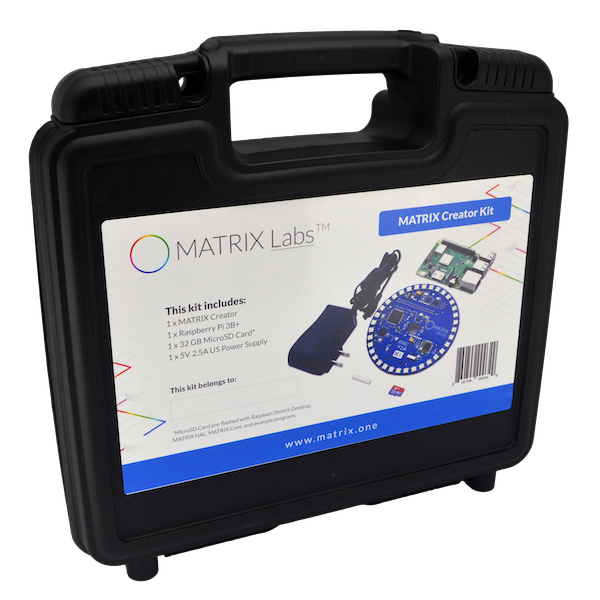 Teach human machine interaction, IoT, robotics, and big data concepts with firsthand real-time data collection from MATRIX device sensors paired with GPIO interfaces. Teach biomechanics, computational data analysis with real-time data, and design body sensor networks to determine joint angles, measure temperature, and analyze gait. 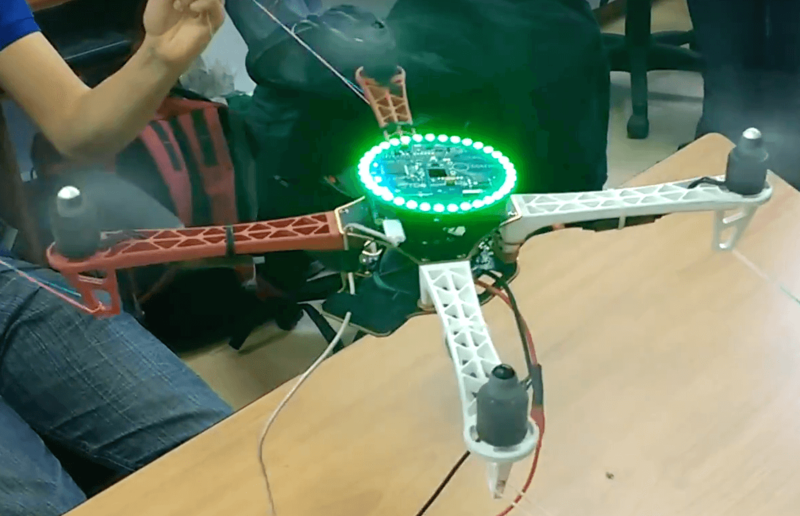 Have students build UGVs, UAVs, and humanoids or jump right into sensor fusion, state-estimation, control theory, signal processing, beamforming, and more. 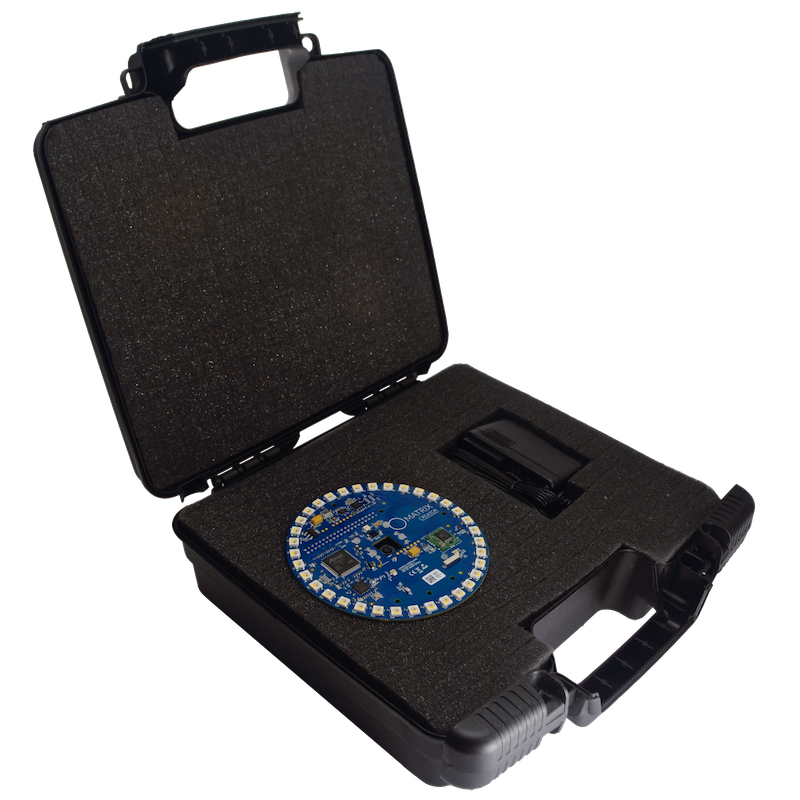 Learn and develop with sensors, wireless communications, and processing hardware right out of the box. 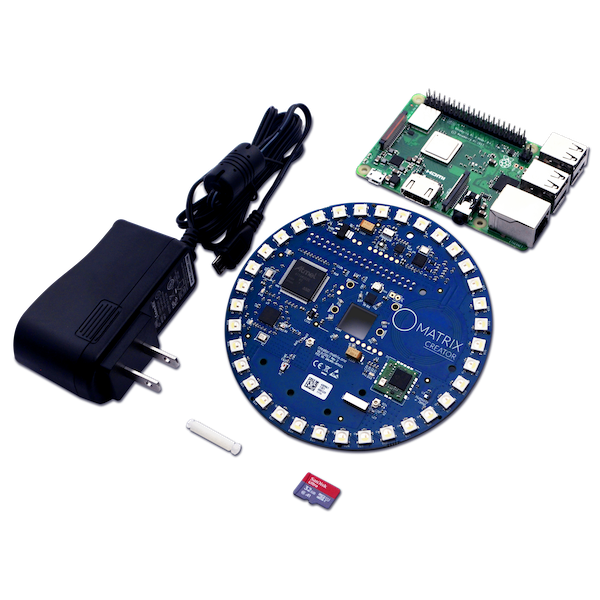 *MicroSD Card pre-flashed with Raspbian Stretch Desktop, MATRIX HAL, MATRIX Core, and example programs. 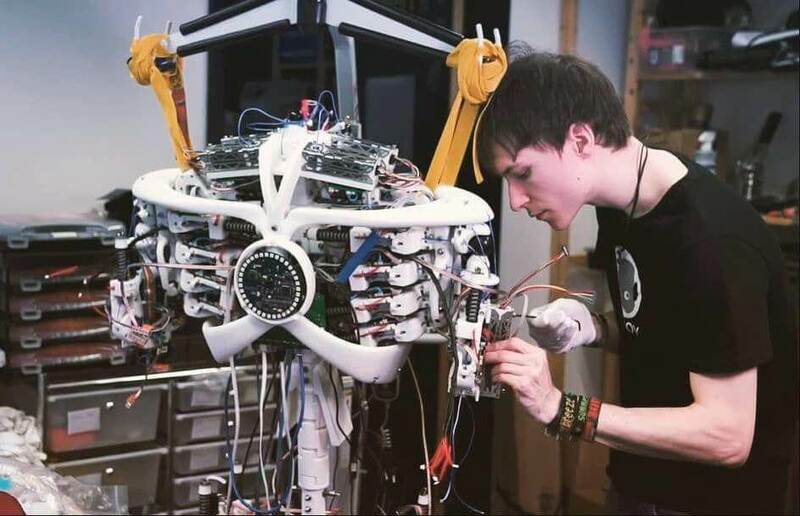 Develop electromechanical systems that can sense, “see”, analyze, and react to the world around you. 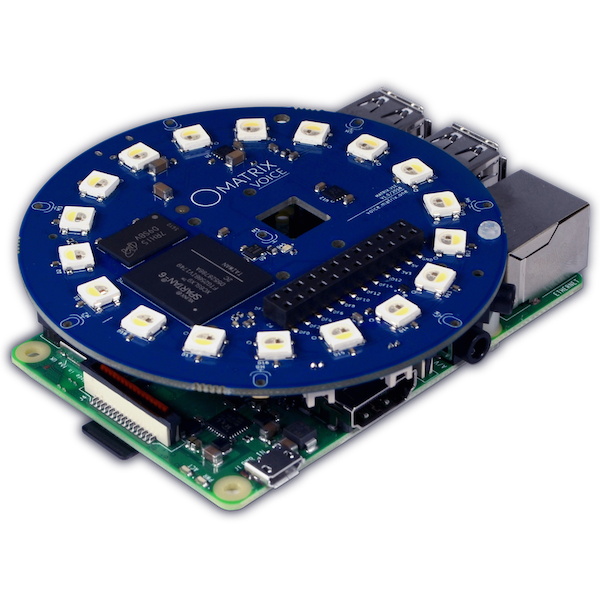 Learn and build audio processing applications with a smart, omnidirectional mic array, packaged to be plug and play. 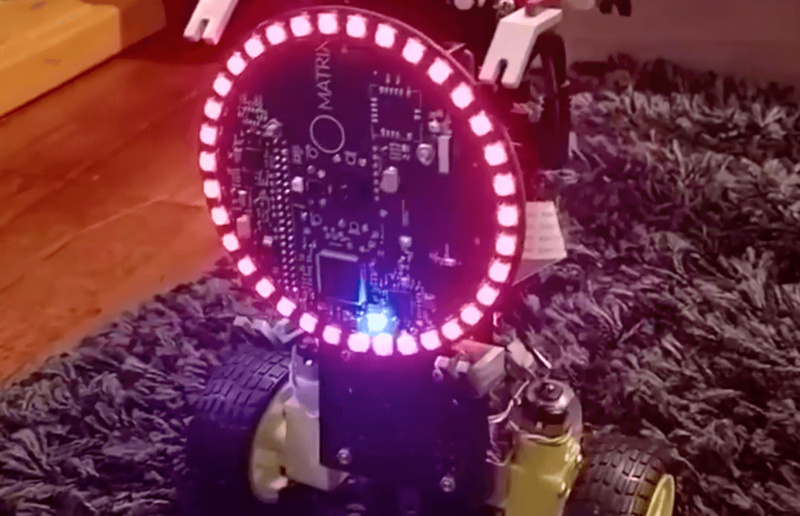 Learn and create audio-visual applications with a smart, omnidirectional mic array, and Computer Vision Algorithms. 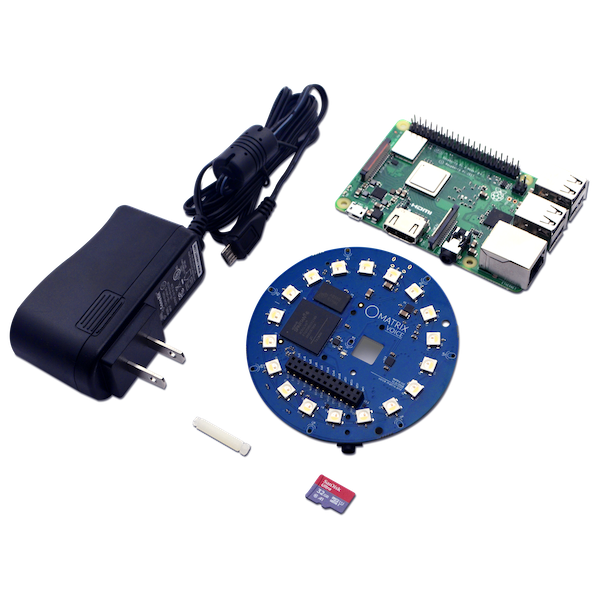 The MATRIX Creator’s everloop provides visual feedback, and its GPIO pins open doors to applications in mechatronics and robotics. With 15 on-board sensors, the MATRIX Creator offers limitless applications which facilitate learning of various software and hardware concepts including state-estimation with filters such as the Kalman filter. 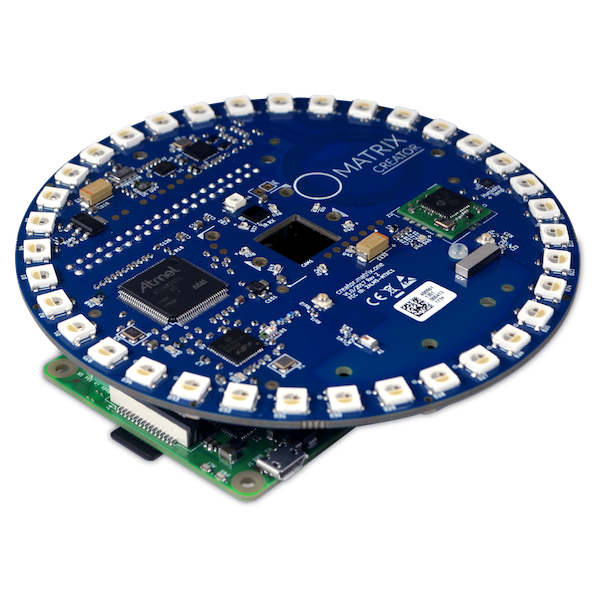 All libraries, starting from VHDL code on the FPGA all the way up to MATRIX Lite, are open source and customizable. The MATRIX Creator exposes students to cutting-edge technology and latest industry concepts such as IoT, AI and machine learning. 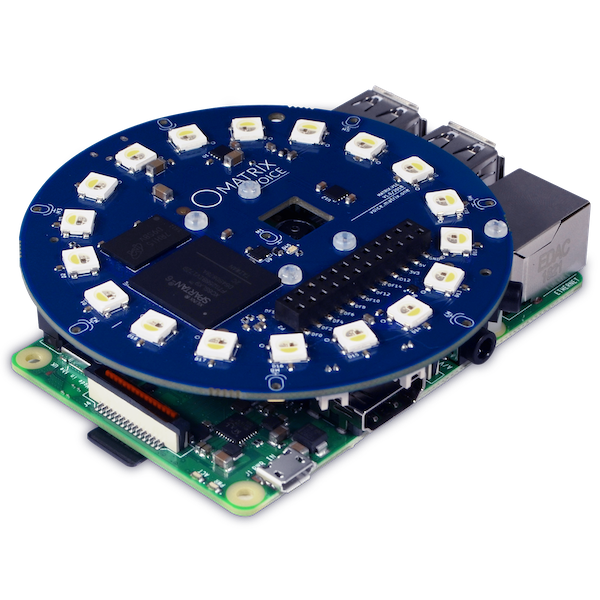 Employ the 8-microphone array to learn and develop various audio applications such as acoustic mapping and voice recognition. 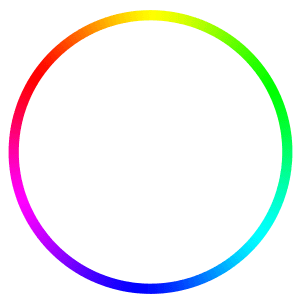 Learn to code the MATRIX Creator to sense and react to the world around you. 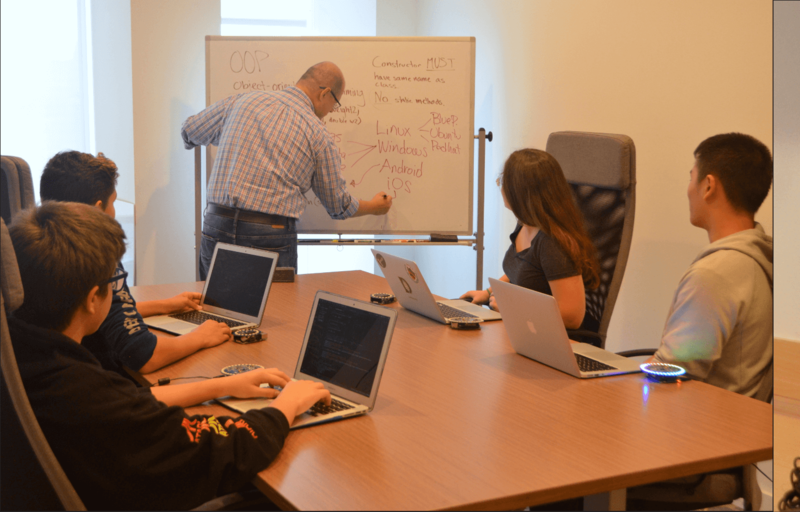 Learn to code the MATRIX Voice and build customized voice applications.